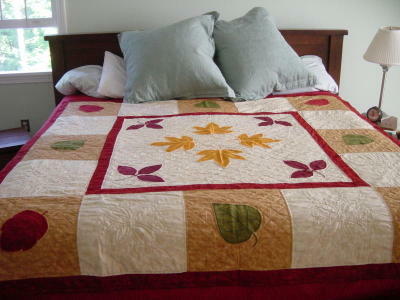 FO's, or Finished objects, are hard to come by these day's. With the kids back in school I had visions of painting the entire downstairs, start the painting project at my mom's house and of course the remodel of our house was to be well underway. A little Sh*t in the back yard threw that plan out the window. I see it coming every year but somehow I am always unprepared for it. Fall that is. Fall is overwhelming. It is my mom, sister, mother in law, nephew, my and all my childrens birthday's. Add back to school stuff, Football, Basketball Gymnastics and now Volleyball into the mix along with what is becoming a full-time volunteer job as VP of our Schools Foundation and I havent a minute to start, let alone complete a project. Because of all of the above mentioned sports, I find myself sitting or driving in the car about 3 hours a day. Prime Knitting Time! Yes. So a few weeks ago while Emma and I were in Issaquah at my favorite LYS (or local yarn store) Emma saw some yarn she fell in love with, and I let her pick out a pattern to go along with it. OOOH Momma, Make me Wicked! and Wicked she shall be! That was the pattern she had chosen, Wicked. She chose some excellent yarn to go along with it. Aurora 8 from Karabella yarns. 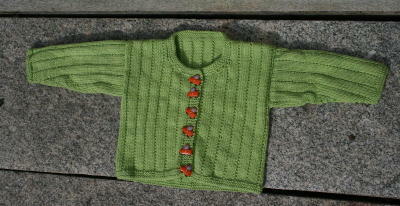 It was a pretty quick knit. 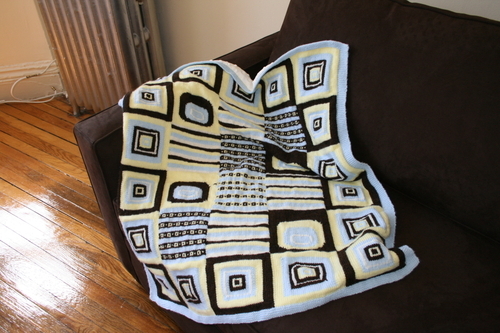 For me that is, and after blocking it turned out great. She really was happier than this picture shows. At first I wasn't going to add the pocket, but I am glad I did. 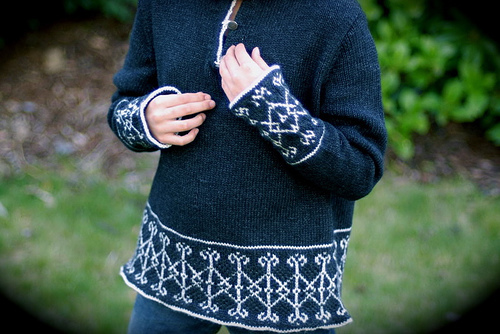 We have had such an unusually warm Fall, so she hasn't worn the sweater yet, but she loves it and I am sure it will be a staple in her wardrobe, unlike so many other sweaters I have made the kids. It's not so bad, this new schedule of mine. I just need to get used to it. Whenever I feel overwhelmed I think of my BFF and goddess of all things home and knit. She has 4 kids, thats right, FOUR, and still manages to start and complete a project - whether it be home remodel, or a craft project, in record time. I am now working on a super secret project for my sisters birthday. I don't work well under pressure, but so far it is coming along great. With my Ipod, needles, and all that car time, I should be able to finish by Oct 20th! Because of my personality hectic schedule, It is pretty rare for me to start and complete a knitting project in a season. 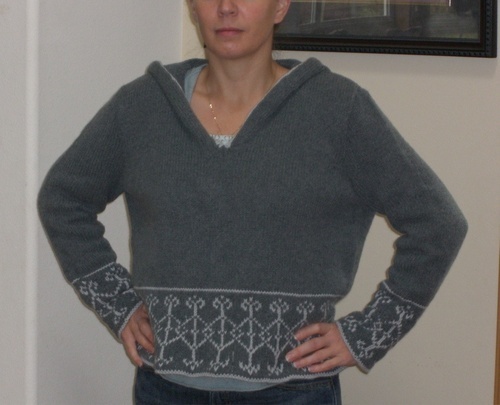 When I saw the Huntington Castle Pullover in the Fall 2004 issue of Interweave knits, I was moved to knit it. I know that a good knitter takes notes, and should be able to report what type of yarn was used, but I didn't. 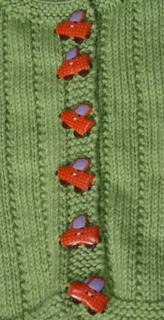 I only know they no longer make the yarn because Miss Tiennie looked for it when she started the sweater with no luck. I can't remember what size I knitted, I think the finished size 36, because that sounds about right, and I'm pretty sure I did a gauge, because I was all about working this pattern "correctly". Last Year Miss Tiennie gave me a notebook to keep my notes in so that I wouldn't have to guess what I did when making socks - because my socks kept coming out different sizes, I used it religiously for about 36 rows, then convinced myself that I would remember. Big mistake, the socks still sit unfinished. Why yes it is as wide as it is long. 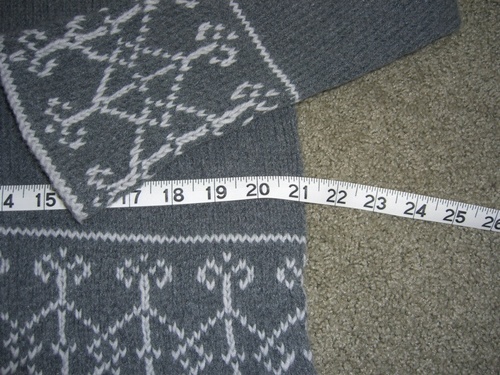 The fairisle turned out great, the color and texture was exactly what I wanted but I will never wear it because.... Well just look. I look a bit angry hugh? 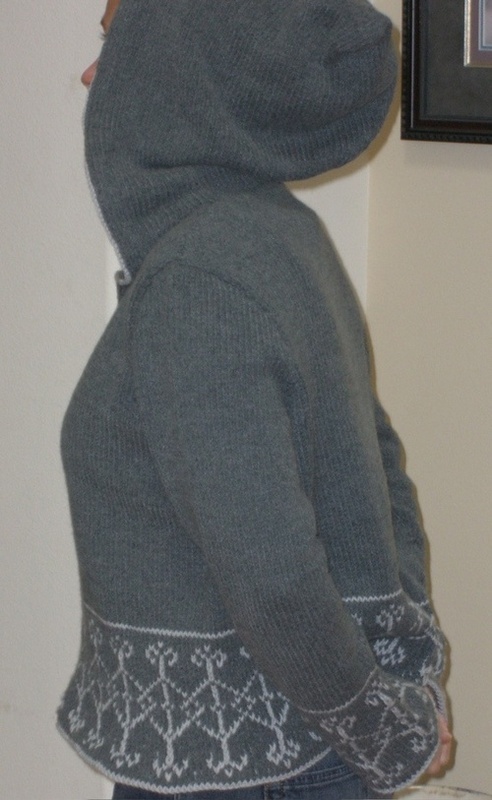 I do like the hood, but It could be a bit thinner and smaller all over. So what to do, what to do. Should I unravel the whole thing and try again? It would be a good learning experience, but I would hate to get most of the way through it and run out of yarn, knowing that I cannot get more. Or should I just put it in the closet with all my other missteps? 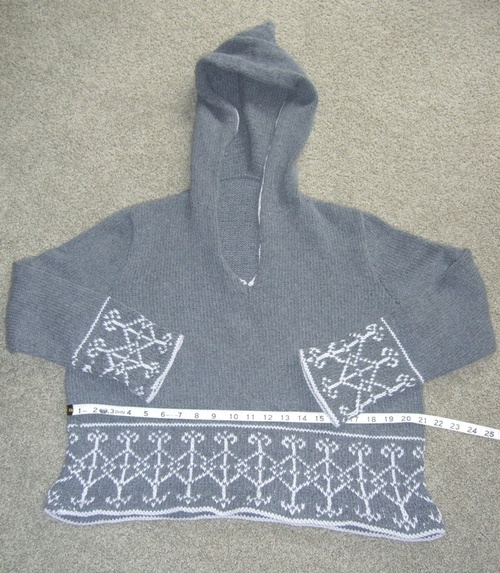 If you would like to see what this sweater should look like, knitted by a real knitter, and not just the pattern cover photo, check out the ones Tiennie did. I'm undecided. Maybe I should get all new yarn, and start over fresh, and if it works out the way I hope, Unravel this project and make another??? A few years ago a friend of mine who was ultra crafty would make these homemade vases and give them out as gifts to teachers, school bus drivers, friends etc. Reduce - Reuse - Recycle is what it's all about so I copied, learned from her how to make them, and thought I would pass it on to you. 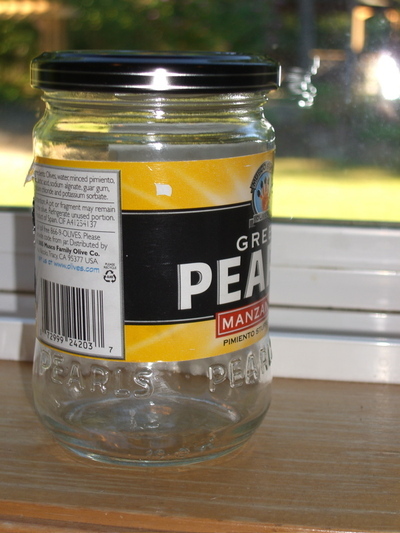 All you need is an empty jar of any size, I particularly like the oddly shaped ones such as olive, artichoke hearts, ginger, spaghetti sauce etc, electrical or other pliers, and anneal wire - also known as bailing wire - or any non rusting malleable wire. 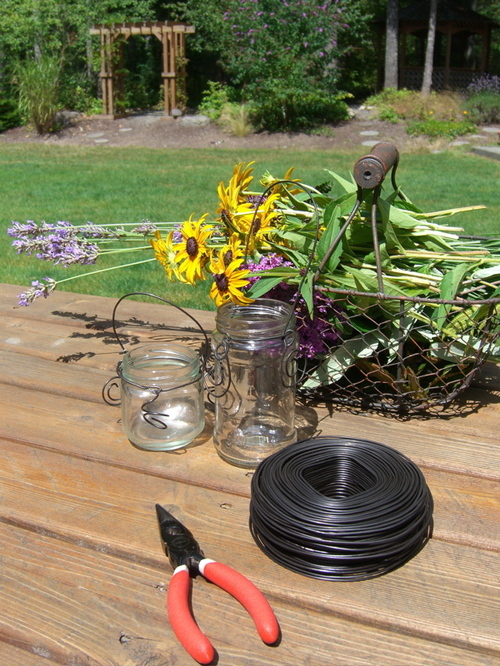 I like the dark black kind they sell at Ace Hardware for about $5.00 for more than you will ever use. 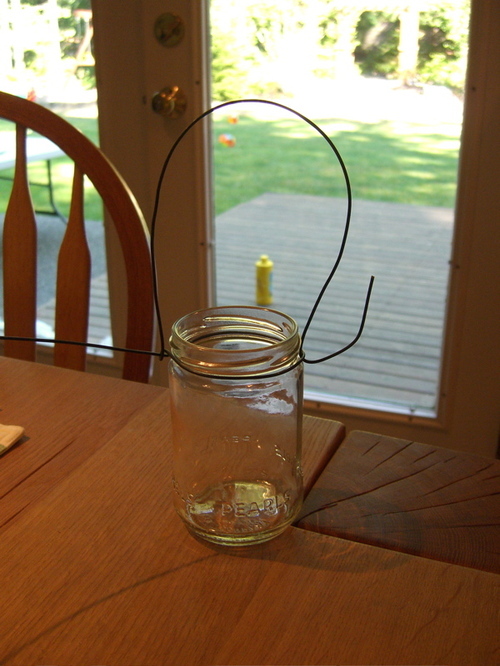 I use one long strip of the wire about two feet in length to wrap around the lip of the jar - leaving space to tuck the wire back in, up and over for a handle and make a little curly Q. Pictures are worth a thousand words soooo... 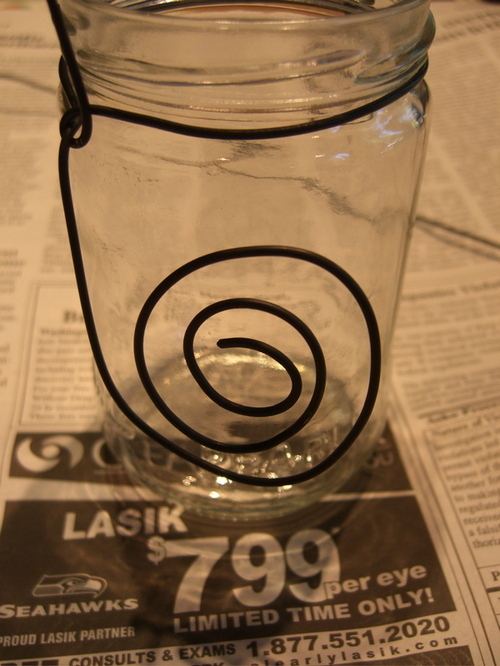 I leave space on both sides of the lid, one to wrap around to make the handle and the other to make a curly Q, you can make the curly's and then add them to the jar, or you can use the excess wire from the initial two foot piece. I had a little difficulty at first with the "tucking of the wire" into the piece I had wrapped around the lip, but if you leave a little space, wrapping it somewhat loosely you should be okay. 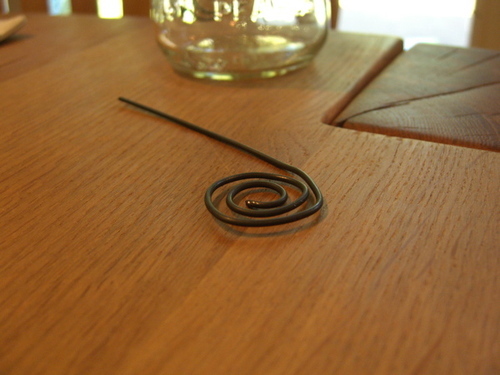 You can alway's crimp a folded piece of the wire later, using the electrical pliers if you need to. Here is a close up, I am no where near as talented as my friend at the curly q's, I need a little practice to make them smaller and more uniformed. 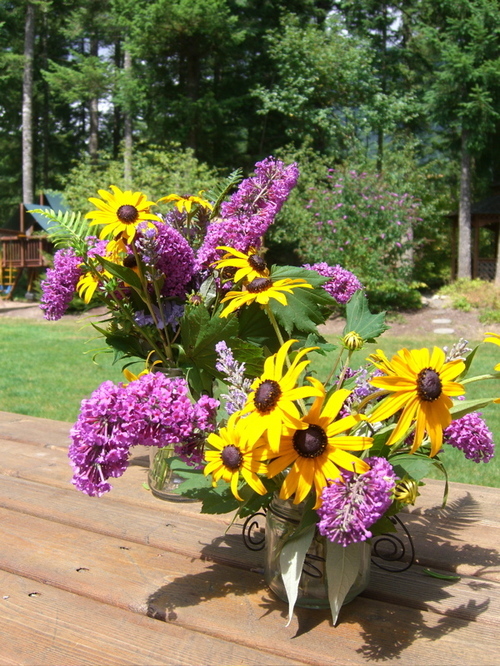 I have a lot of cutting flowers that bloom in August. 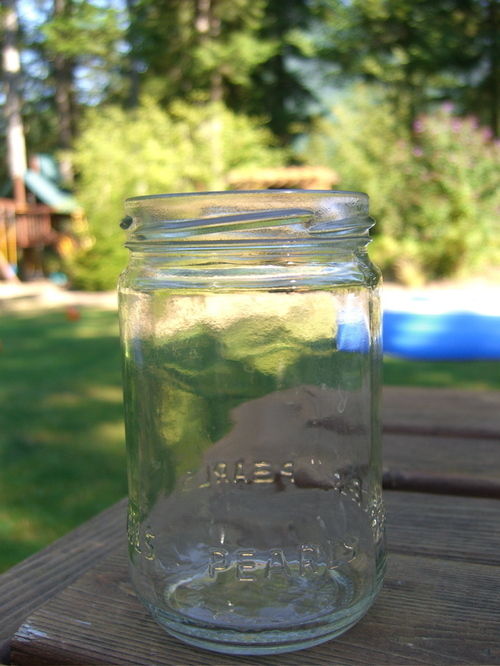 the yellow and purple look vibrant together and are small enough to place in the jars. 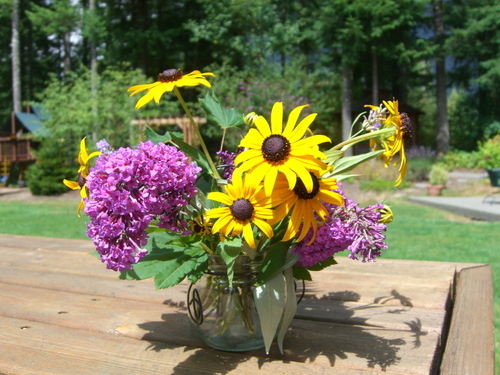 I used butterfly bush flowers, black eyed susans, lavendar, pretty weeds - that's right I said it! I am not above putting in a dandelion or flowering nettle, and some greenery, sallal, maple tree branches, whatever looks good. I know I said my next post would be about the Arbor Heights Master Bathroom, but I got sidetracked as I often do! BROKEN BONES, WORK, VACATION & HOME REMODEL MAYHEM. And you? NO! What do you mean No? Brad Fallon on BROKEN BONES, WORK, VACATION & HOME REMODEL MAYHEM. And you? challenger garage door opener on BROKEN BONES, WORK, VACATION & HOME REMODEL MAYHEM. And you? James Freyd (siding repair sugarland tx) on BROKEN BONES, WORK, VACATION & HOME REMODEL MAYHEM. And you? Cheap lots in Costa Rica on BROKEN BONES, WORK, VACATION & HOME REMODEL MAYHEM. And you?